CallCenterHosting has kept its intact focus on sharing some valuable content throughout the year and it has been a privilege to rank among some of the best cloud-hosted solutions providers in year 2018. Here in this post, we are sharing top 10 best blogs that were noticed widely and, made their presence felt by creating awareness and a knowledge base that is going to help the users subsequently. In this topic, the blog discusses about various trends that were speculated to be trending in the year 2018. 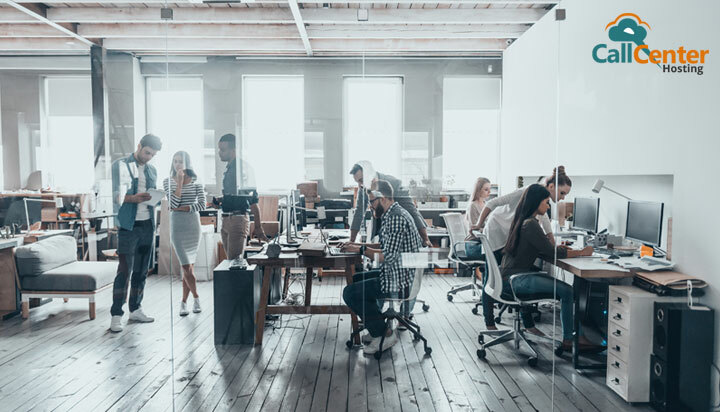 This blog tells that the current trends focus on chatbots, data analytics, hybrid AI and social media and users’ inclination towards cloud-hosted solutions. It has been found that throughout the year, the call center industry has found these trends very well accepted and they have been found to be relevant to achieve some intended results in the call centers. Some of these trends are going to show up in the coming year as well. You can continue reading it here. 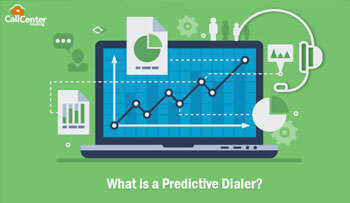 Blog2: What is a Predictive Dialer? A predictive dialer is a tool to enhance the number of connections between customers and agents. This is a unique blog that talks about the technology behind the predictive dialers and explains the algorithm that predictive dialers use to dial the contact numbers at the right time. This blog has taken the reference of the research paper prepared by Douglas A. Samuelson who invented predictive dialers in the 80s, and it also explains the bus and passenger analogy to explain the routing of calls to the agent and how the dialer chooses the best time to make the outbound calls. In addition to this, if you want to understand other types of dialers and why predictive dialer stands apart, you can find various insights that will give you a thorough understanding of the predictive dialers. Give it a read and you will know why predictive dialer is a perfect outbound solution for your call center. Blog3: What will Change at Call Centers with GDPR? General Data Protection Regulation (GDPR) has been a hot topic throughout the year and call centers have taken measures to make their processes GDPR compliant. Call centers deal with the customer data and its safekeeping becomes a responsibility of the call centers. This blog clearly talks about the rights given to the customers and how it is equally necessary to keep the customers aware of their data that is being used by the call centers. The motto behind this blog is to make the customer support process very transparent. Read the complete blog to get a better understanding of GDPR compliance in call centers. Blog4: How Call Centers are Going Green? Cloud hosting has opened several avenues to make call centers environment-friendly. Such call centers don’t need infrastructure and are highly flexible in terms of adapting to various business needs. The health of the cloud-hosted call centers depends on the efficiency and capabilities of the data centers. This blog explains various measures that these data centers are taking to use renewable energies and consolidate the idea that cloud-hosted call centers are supporting the environment in every possible way. Apart from this, it also talks about server virtualization and multitenancy that most of the readers look to know and understand it in a better way. 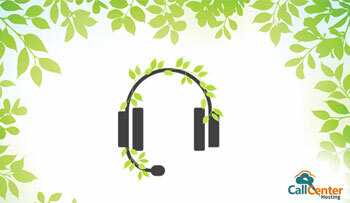 To know more about how call centers are going green. Click this link. Blog5: How to Set Up a Cloud hosted Call Center? Cloud-hosted call centers support remote working and in this context, it is necessary to understand and know how to set up a call center at home. This blog talks about some meaningful insights to set up a call center and also gives a sequence of steps that one should follow to set up call centers in an easy process. The idea behind this blog is to provide a layman with various steps that you need to know and you can plan a call center at home and with the help of remote agents, you can run a call center. 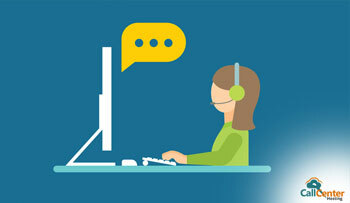 Read this blog to understand how easy it is to set up a call center. Average handling time is the amount of time that an agent spends on the call to provide the customer support. A call center process needs to be streamlined to make agents more efficient in taking calls and making the most out of the available time and resources. Every call center looks for ways to reduce the average handling time to the utmost level. It is a strategic process that needs good planning and understanding the scheme of every business. These well thought out steps help you in reducing the average handling time to the best possible level. There are various ways that make the most out of the available resources and help in optimizing the call centers to the best possible level. This blog talks about various promising ways to optimize call center process with the help of auto dialer systems. These various steps talk about reducing the agent idle time, improving the lead conversion and also personalize the outbound calls. Various sub-heading in the blog keenly focus on how to boost sales and marketing efforts with the help of auto dialers. The optimization of the call center process includes the idea of reducing the agent efforts to the maximum level and, utilize every possible idea to make the auto dialer solution the most resourceful for your business. Read more to get the hang of these insights. Blog8: What makes an IVR Great? Interactive Voice Response (IVRs) have become the most essential business solutions for inbound calls and some businesses are even using it as a self-help tool to provide the best possible solution to the customers. It includes all the essential aspects needed to make an IVR most effective. This blog focuses on the fact that if the IVR is implemented after taking some measures, it should be able to provide some results. In a nutshell, an IVR should be simple and with a well-crafted menu to be able to engage the customers purposefully. You can read more about IVR here. Every user of the predictive dialer needs to know the essential points that should be considered before going for one. This blog talks about the important points that will help you take the best decision for the selection of predictive dialers. Predictive dialers not only help in making the outbound campaign a success but also help in lead management, agent utilization, and various business application integrations. Read the complete blog to make sure if you actually need a predictive dialer for your call center or not. 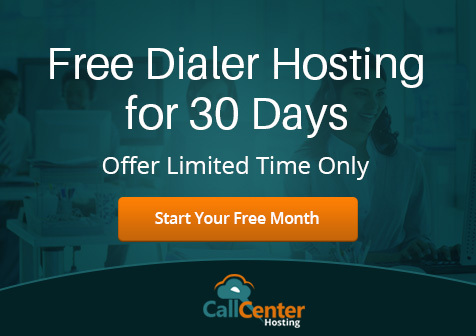 Choosing a right dialer is all about understanding the specific needs that are addressed by the essential features to make it the most useful in every call center scenario. 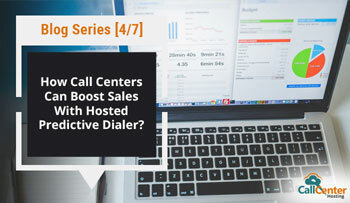 Blog10: How Call Centers Boost Sales with Hosted Predictive Dialer? There are many utilities that come with the predictive dialers and these utilities not only make the call center scenario most oriented towards sales but also improve the customer relationship. There are various aspects that make a predictive dialer highly result oriented in the call center environment and prove to be the best suitable solution for the outbound calling. This blog has explained how one of the most important benefits of predictive dialers is to help in monitoring agent performance and also measure agent efficiency. The insights coming from the comprehensive report also help in crucial decision making regarding the call center process and management. You can get more worthwhile insights if you read this complete blog here. You can subscribe to our blogs to know more about the call center solutions and also comment your views in the section below. You can also follow our Facebook, Twitter and LinkedIn pages to get notified for our newly published content. After all, a thorough understanding can only help you find a relevant solution for your call center.